When your vehicle suddenly stops running because of a dead battery, you may find yourself in a world of trouble. 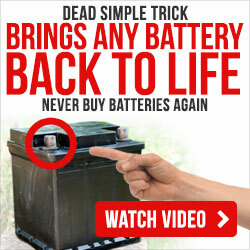 Spending time learning about dead car battery tricks will prove invaluable. No one can predict where they will experience a car battery going dead. It can possibly be in a location where there is no nearby store to buy Auto Parts and Replacement Parts. Or worse, it is a place where there is no phone signal; calling for professional help is out of the question. This situation can be solved by the traditional way of jump starting your car or some alternatives that are presented in this article. The first method is by Car Battery Jump Starters. 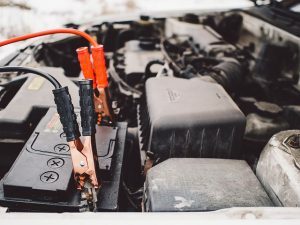 The first versions and models of Car Battery Jump Starters are lead-acid batteries with jumper cables that are as heavy as a regular car battery. But with the advent of technology, new types are lighter and can even be as small as smartphones. Aside from its main use of jump-starting a car, modern versions of jump starters can recharge phones and fill tires with air. Second method is by a manual jump start. With this method, if your car is not facing downhill then you will need some people to push your car. As the car starts moving from outside help, make sure that your vehicle is in second gear and hold the clutch. Then start the ignition and bring up the clutch. This method can be used if you have jumper cables and a car with a working battery is nearby. One of the cables will be used to connect the positive terminals of the two batteries. The second cable will be used to connect the negative terminal of the good battery to an unpainted metal surface of the car that needs to be jump-started. Start the good car and then rev the engine a little bit for a full minute. Try starting your car and remove the jumper cables if it worked. For this trick, prepare two aspirin tablets. Then unscrew the filler caps of your battery. After that, the Aspirin tablets should be divided into same amounts and drop the divided amounts into each cell. Replace the filler caps and start your car. The charge came from the aspirin’s acetylsalicylic acid mixing with the battery’s sulfuric acid. The downside of this method is that it will lessen the durability of your car’s battery. This trick is ideal for old batteries; avoid this practice if your battery is newly bought. Corrosive particles may be the reason for your malfunctioning car battery. With this method, prepare a.) toothbrush, b.) 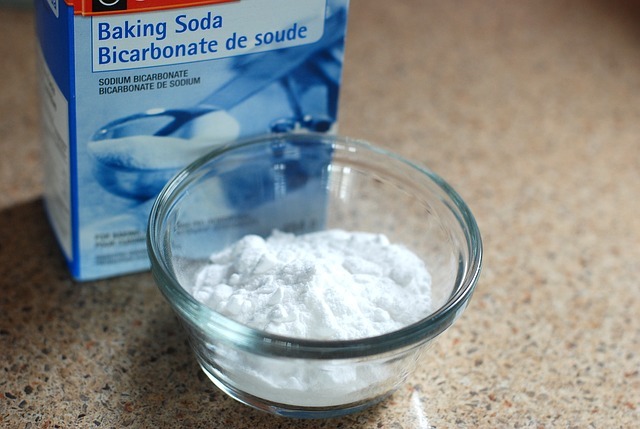 commixture of 3 tspn baking soda & 1 tspn warm water, c.) petroleum jelly, d.) dry cloth and e.) wet cloth. Using the toothbrush and the solution, rub away the corrosive build-up. Remove the softened corrosive particles by using a wet cloth. Then dry your car’s battery terminals. Wait for the terminals to dry entirely and spread petroleum jelly on it. This will serve as a barrier against corrosive particles. Unused car batteries have reduced charge-storing capabilities. Lead sulfate is produced when lead coming from batteries that are unused for a long time fuses with electrolytes. Desulfation will take care of this problem. A successful desulfation will make car batteries regain their ability to store a charge. With this method, prepare a.) Epsom salts, 7 to 8 oz. and b.) 1/2 qt. warm water. Mix the Epsom salt and warm water. Fill your battery cells with this solution. Take note that sulfuric acid is one component of car batteries. 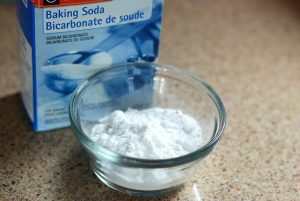 Be very careful when trying this method because sulfuric acid can corrode your skin. It may even cause blindness when it makes direct contact with a person’s eyes. You can also read our information on Epsom salt battery myth to know more about reviving the dead battery. The acidic attributes of soda may help to eradicate deterioration of your car battery pack. Nearly all carbonated drinks contain carbonic acid solution, which is effective in removing stains and for dissolving the build-up of rust. Pour some soda on the battery terminals and let it sit. Take away the sticky residue with the wet sponge. In case your terminals continue to rust easily, you should get that checked as soon as possible. It might be a sign that the time has come to purchase a new battery. But if you’re trapped somewhere, a can of soda might get you back on the road. You may have noticed that your own car battery usually stops working on the coldest of days. Car batteries cannot function well if there is an increased electric resistance and very thick oil, which occurs in low temperatures. Corrosion upon the battery terminals adds resistance which greatly overwhelms your electric battery. Before winter season starts, remove the battery terminals and remove dirt using a wire brush. After cleaning, reconnect the battery terminals and apply petroleum jelly. The jelly will block the build-up of rust. If you accidentally left your lights on or one of your car accessories was left plugged overnight while your car is off, expect to have a dead battery in the morning. Make sure that your lights are off and your car accessories are unplugged before leaving your car. Your car batteries, just like your gadgets, need sufficient time to charge. If you keep on making short trips with your car, the erratic levels of charging will negatively affect your car batteries. Choose to walk or ride a bike if your destination is only a few blocks away. But choose to drive when your task is time-sensitive. Do not regret the money that you will spend on hiring professional car mechanics or electricians for regular check-ups. The service that they will provide will be very helpful and can prevent you from being stranded on the road at the most inconvenient times. If possible, choose to park on covered garages all the time. Always have a competent professional conduct an up-keep on your car’s electrical system. This way, you can ensure that the problem lies in your car battery and not on other automobile issues such as fuses, ignition switches, alternators and/or starter connections. If there is some extra space around the battery, try placing an insulation sheet. The plastic blanket will control the battery’s temperature – it will stay warm in cold days and cool in hot days. If you are about to buy a new battery, consider going for a small one so that the sheet can fit around it. It will survive longer than a huge battery with no protection at all. If you are about to leave your car idle for a few weeks or months, disconnect your vehicle’s battery first. The clock and auto-computer will drain the battery. This is ideal for newer versions and car models because of added modules. There is an ongoing debate whether older car models should be treated the same way. Modern technology has given birth to more gadgets that consume electricity such as GPS systems, CD/DVD/MP3 Players, on-board computers and phones. All of these can contribute to the quick drainage of your car’s battery. Cars usually need 12-volt batteries which last up to five years. Replace your battery before it leaves you stranded on the street. The easiest way to check your car’s battery age is by looking at the date of the official receipt issued to you by the car battery vendor. If you have misplaced or lost your official receipt, try looking at the battery’s plastic cover, there may be a circle-shaped sticker that shows the battery’s manufacture date. Check out on the the average life of car battery if you are interested in.